Sung by Tatiana Khvastunova, Tatiana Panova, Ekaterina Kharlanova, Tatiana Golvskaya of The State Academic Northern Russian Folk Choir., in Arkhangelsk, Russia in 2017. In 1926 Antonina Kolotilova assembled a group of women from the northern region to preserve and perform the folksongs of the Russian Arctic. As time went on they expanded the group to include an orchestra of Russian folk instruments and a dance group. Nina Konstantinovna Meshko took over direction of the choir in 1960. While visiting in 2017, I was invited to watch a rehearsal for an upcoming competition, after which four of the group's leaders, who all studied under Meshko, gave me a tour of the building and their in-house museum. They also performed a few songs for me, singing, dancing and telling stories. It was such a beautiful experience. 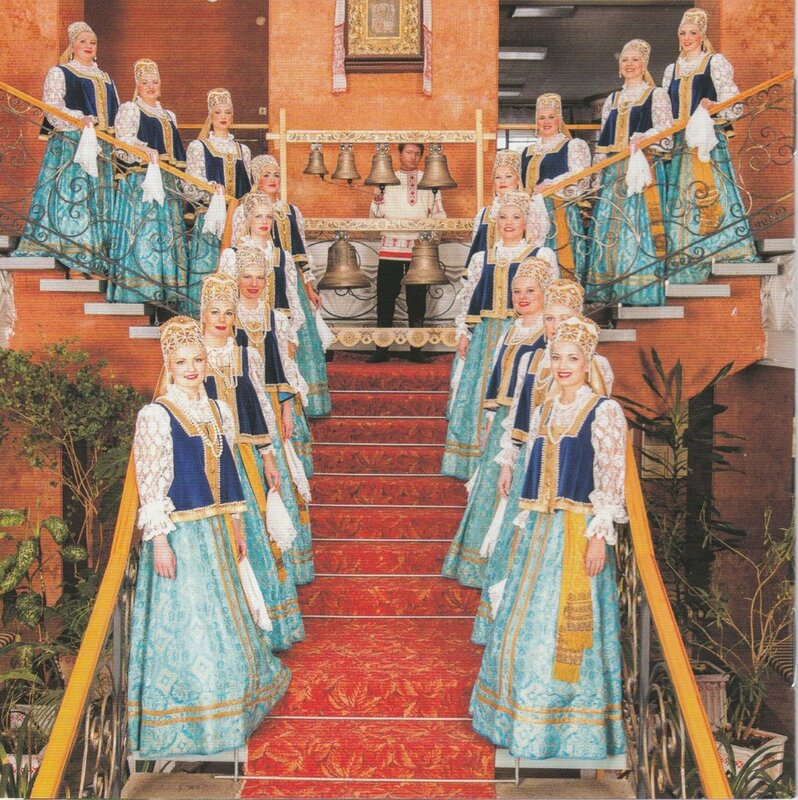 The Choir has not only preserved the folk traditions of the North, but as one of Russia’s top folk choirs also has shared them with international audiences. They were kind enough to share one of their CDs, which I play with great pleasure in my home. This Song Quilt is a transcription of the melody of Vdol Po Travke as it was sung by the women. I chose the colors based on the CD album art from the record they gifted me of their performances. I bought the backing fabric from a fabric store in Arkhangelsk. The quilting pattern is a traditional northern weaving style. See the pictures below for examples of the weaving. Special thanks to Ekaterina Sharova of the Arctic Art Institute, who was my generous host and translator during my time in Russia. Without her this project would not have been possible. An amazing mural in Arkhangelsk depicting a grandmother doing her weaving with the pattern typical of this region. Backing fabric purchased at a fabric store in Arkhangelsk, with a detail of the quilting. The Northern Folk Choir was started in 1926 by Antonina Kolotilova. This is a photograph in the Choir's museum. The inspiration for the color palette for the quilt. This is the inside cover of the Choir's CD. An example of the weaving pattern from the Russian Arctic that inspired the quilt pattern for this quilt.